It is not uncommon to hear job seekers in the animal career fields asking, “Do I really need to bother with writing and submitting a cover letter with my resume?” The answer is yes, you should absolutely take the time to write that cover letter! All candidates, from kennel assistants to corporate biotechnology executives, should use this valuable marketing tool to better their chances of securing a desirable position. Even if you are “just” seeking an entry-level position, a cover letter affords you the opportunity to show your personality and highlight your most relevant skills and achievements. Think of it as a personal sales pitch that precedes your formal resume. 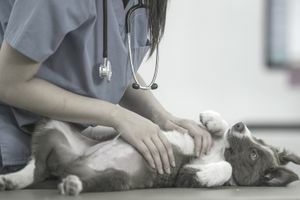 It is not something only necessary for application at big veterinary pharmaceutical companies or universities, since everyone benefits from this added bit of professionalism, no matter what type of employment they are pursuing. Skipping this step can only put you at a disadvantage in the pool of potential candidates. Rehash your resume line by line in the cover letter. It is perfectly acceptable to highlight particularly relevant qualifications from your resume, but there is no need to include every last detail. Write an essay. A cover letter should consist of a few relatively short paragraphs, leaving plenty of white space on the page so it doesn’t look cluttered. It should never take more than a page to get your point across in a cover letter. Be concise. Submit a cover letter until multiple readers have looked it over and checked it for errors. It is very easy to overlook your own mistakes when writing and proofreading. You don’t want to have any typographical errors or grammatical mistakes in this important document! A letter that is free of mistakes will show your attention to detail, while a letter with errors may indicate to the reader that the candidate is careless. Review as many examples of cover letters as possible to get ideas for what to include in yours. There are many examples available through a quick internet search or on major employment websites. There are also many books about resumes and cover letters that you can check out at the local library. The key is to take ideas from these sources but not to copy them word for word. Make a note of phrases that might fit in well with your letter and see if you can incorporate them. Address your letter to the hiring manager if possible. A quick online search or a phone call to the organization may help you find out to whom the letter should be addressed. Addressing your letter “To Whom It May Concern” is generally frowned upon, and many recruiters recommend using no salutation at all if you are unable to find out the hiring manager’s name. Mention any special skills, advanced training, licenses, and certifications if you have them. Use industry-specific language that indicates you have a strong knowledge of the field, but be sure it fits in seamlessly with your writing and doesn’t seem out of place. Specifically name the job for which you are applying if it was an advertised job listing, especially if it is a job advertised by a large company. Larger organizations may be hiring for dozens of positions at any given time, and it helps to clarify which particular job you are seeking. Explain any gaps in your employment history, whether you went back to school or were laid off. Also, use the cover letter to explain career changes or any other career moves that might appear unusual. The cover letter is your chance to provide a narrative for your job history. Point out transferable skills if you are seeking to change careers. For example, significant experience in grooming and training in the equine industry would give you real-world experience and an extensive network of contacts that you could bring to an equine pharmaceutical sales position. Always close your letter by thanking the hiring manager for their consideration. It never hurts to be polite. Remember that writing a quality cover letter takes time and effort, but it really can pay off in the long run. Once you have a basic cover letter it can be edited for use on several different job applications. The key is getting that basic draft written and ready.